Pat Gelsinger, CEO of cloud and virtualization software company VMware, is known for his commitment to living a balanced life. 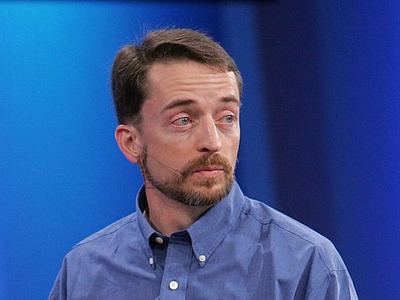 In 2015, Gelsinger told India’s The Economic Times that during his long stint at Intel, he would regularly put in 80 hours a week. That left little time for other activities, including vacations with his family. “I loved what I was doing, so why should I stop and go do something boring like rest and relax? I loved work and wanted more of it,” he told The Economic Times. But his wife sat him down and pointed out that it isn’t always about what he needs, it’s also about what his children need, The Economic Times reports. And what they needed was to spend more quality time with their father. So the couple created a points system to prevent him from working too much, he told the The Wall Street Journal. The points are based on the amount of time that Gelsinger spends with his family, away from work. He earns one point for arriving home at 6:15 p.m., for example, but earns two if he’s there by 5 p.m. His secretary tallies the points on a chart that Gelsinger designed himself, the Wall Street Journal reports. “As an engineer, my life is governed by data,” he explained in The Economic Times. But he also acknowledged that employees must decide to make those things a priority. It’s the “shared responsibility of the individual and the company,” he told Business Insider.